The well-known saying that “time and tide wait for no man” certainly has held true for this year. It’s quite hard to believe that we are already at the end of another year, preparing to celebrate the joyous occasion of Christmas. 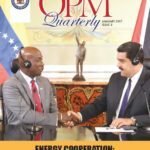 As we close the year, it is my pleasure to share with you the 3rd edition of the OPM Quarterly. I also take this opportunity to thank you for the support you have given to the editorial team and your input into making the OPM Quarterly a success. Our final edition for 2016 gives a preview of some of Government’s key areas of focus for the New Year, in particular Local Government Reform and the strategic thrust for augmenting our natural gas supply to local industries. Both of these projects, in their own right, are intended to facilitate increased efficiency, productivity and prosperity for our communities and country. 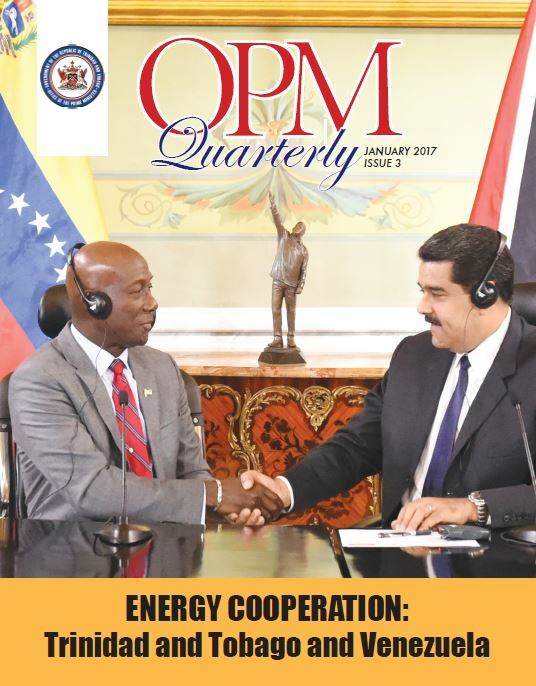 On behalf of the Cabinet and on my own behalf, I thank all OPM staff for your assistance over the past year and I look forward to your continued co-operation in 2017, as we work together to build a Nation of which we can all be proud. From my family to yours, I wish you all very Merry Christmas and a safe, peace-filled and prosperous New Year.